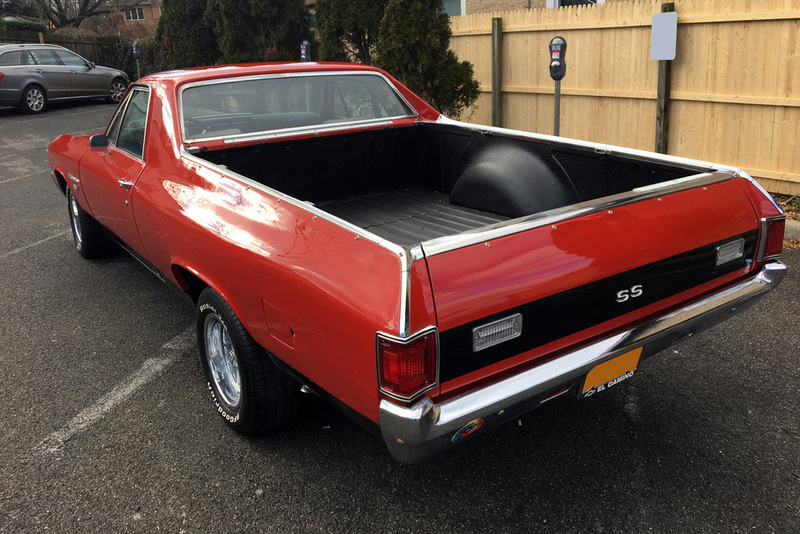 A 1972 Chevrolet El Camino once owned by renowned musician Jimmy Buffett will roll across the Barrett-Jackson auction block in Palm Beach, Florida. The sale runs April 11-13. It only seems fitting the vehicle will be sold near the beach given Buffett’s island-themed music and the fact that Florida highway A1A — the namesake of one of Buffett’s albums — serves as a primary road in Palm Beach. According to the auction listing, the current owner has kept the car-based pickup truck since purchasing it from Buffett. 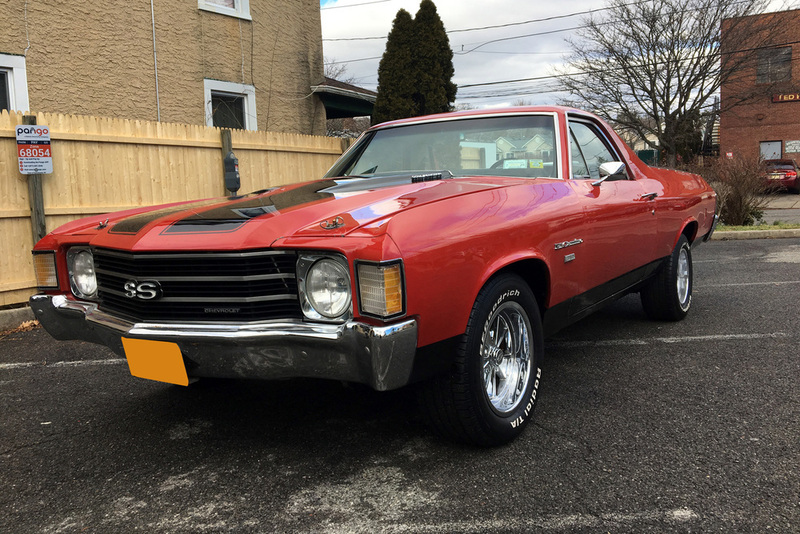 It is powered by a 350cid V8 crate engine equipped with a 4-barrel Edelbrock carburetor and mated to a 3-speed automatic transmission. The entire drivetrain was restored six years ago. There also are an AM/FM radio, power steering, power brakes and air conditioning. The bed is reported to be ding-free and was recently given a spray-in liner for extra durability when hauling coolers to the beach (or doing a light bit of smuggling). 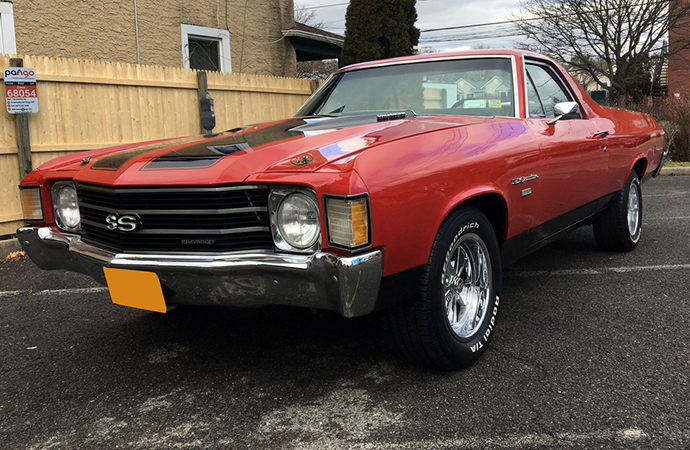 Being a Barrett-Jackson sale, the vehicle does not have a reserve price. However, the Hagerty Price Guide says a similar car in perfect condition should be worth somewhere near $28,000. Of course, that doesn’t include its celebrity provenance, which often drives the price higher than estimated. We won’t know who the winning buyer is until the Monday after the auction but we’re betting he’ll be the son of a son of a sailor who went to Paris sporting a pencil-thin mustache. Spray in bed liner?????? For "durability??????" Ya………the only reason beds are sprayed with bed liner id to HIDE THE DINGS, DENTS, AND BODY FILLER/WORK. That’s the reason for spray in bed liners!!!!!!!!!!!!!! You’ve obviously never owned a pick-up truck for its true purpose have you? A spray-in liner actually IS to protect the bed from the abuse and damage that the paint will obviously suffer when actually hauling anything. Obviously the spray-in liner permanently covers the paint so what’s the difference, you ask? Ever tried selling a used truck, one that had worked hard all its life, without a bed liner? I’ve got a 70 Elco roller. Anyone interested in making it a beach bum cooler hauler can reach out.